Look for details course content. Do the math of the in-class hours. Check Refund Policy if you want out. They are promises the school must give to you. We keep our promise and every minute count at TMC. 10% off on Comprehensive Thai Massage 90 hour program; Professional Thai Massage 150 hour program; GCT-Teacher Training 300 hour program; GCT-Teacher Training 600 hour program. Before building a relationship with TMC, the Australian Association of Massage Therapists reviewed all the curriculum and the TMC Centre to ensure that students would receive authentic Thai Massage training at a high standard, in a quality facility. Students considering enrolling in Thai courses should ensure they review the content of the course and its relevance to practice in Australia. 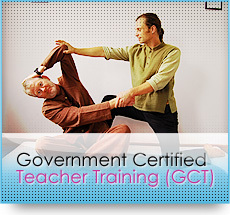 The TMC course was designed specifically for safe practice in Australia." 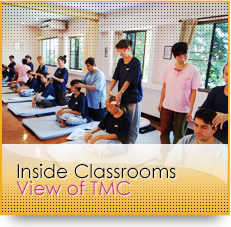 As a massage teacher for almost 20 years, I could not be more impressed with TMC. 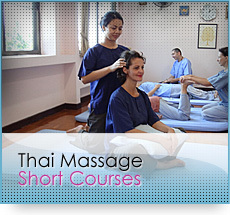 After studying Thai massage several places in Thailand since 1995, I was referred to TMC by a friend who had also studied at several well known schools in Thailand. 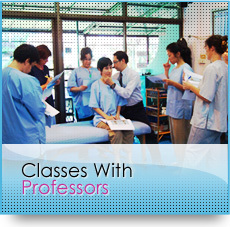 TMC has the most professional and knowledgeable teachers I have ever seen in Thailand. I found everyone at the school incredibly helpful and kind. Their curriculum is outstanding! 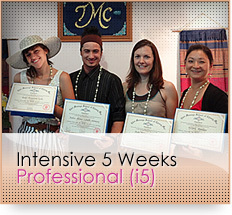 I would highly recommend TMC to anyone who truly wants to learn thetraditional Thai massage way. I have brought several groups to Thailand to study since 1997 and I will continue to bring them to TMC. I would also like to thank all TMC staff for your unwavering dedication and for always making everyone who enters your school feel like family. Peace & Blessings"
all the career colleges of the United States. President/Head Instructor: Universal Touch Inc.
As a complete beginner in the SPA Education Industry, my 300-hour GCT training at TMC School of Chiang Mai had helped paved my career into setting up an Aesthetic & Body Therapy Academy in Singapore. We are now an approved training organization offering many International and National qualifications. The strong support rendered by TMC School had also enabled us to offer its curriculum as an affiliated school in Singapore. SingTrain Academy owes its success to the professional training my trainers and I received from TMC School of Chiang Mai. 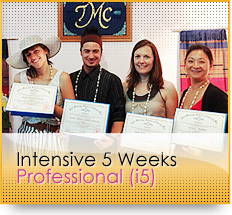 We will continue to pursue our passion in bringing SPA and Beauty education to its utmost professional level." I am successfully running TME, a Thai massage school in Europe thanks to my excellent education at TMC Thai Massage School of Chiang Mai. Now, my graduation GCT 600 is many years ago and I am still happy and grateful for the 6 month of training(GCT 600) at TMC School which made me a professional and where I obtained my skills to teach in a well structured manner. I have had experienced foundation courses in Thai Massage at lots of places like Wat, hospital, Thai massage schools and private teacher in Bangkok and Chiang Mai, but as I came to know TMC in Chiang Mai I knew that this is the place I like to absolve a long term teacher training myself.